News for anyone interested in educational developments and parent organisations in Australia and beyond. Use the 'Forward' button in the footer section to share this email with your colleagues and friends. The latest education news for you. Please enjoy our March ACSSO News. ...it came as a surprise to learn that only 15% of school aged students engaged in sufficient physical activity to meet the guidelines. As the seasons inexorably click around to the shorter days of autumn and the temptation to curl up indoors with a good book it’s as well to remember the positive wellbeing factors from engaging in physical activity. At a recent Wellbeing Symposium hosted by the Australian Research Alliance for Children and Youth (ARACY) it came as a surprise to learn that only 15% of school aged students engaged in sufficient physical activity to meet the guidelines. There are a number of strategic initiatives underway to explore what could make a difference to this; initiatives that include tangible support from the sporting, health and education sectors – with additional discussions on how the role of parents in inclusive school based sporting activities can be supported and encouraged. Wishing you all the very best for the fast approaching end of term holiday break and for the rest of your vacation if you're in Queensland or Victoria! Children and Young People with Disability Australia (CYDA) is the national representative organisation for children and young people with disability aged 0 to 25 years. CYDA is again conducting a national survey to gain information about school experiences of students with disability and to learn more about what support is being provided. CYDA strongly urges young people with disability and families to participate. The responses provide important information about the direct experiences of students with disability. These are shared with government and other stakeholders to advocate for much needed reform. THE SURVEY CLOSES ON MONDAY 4 APRIL 2016. Surveys should be completed by young people with disability or families of students currently attending school. If you have more than one child with disability at school please complete a separate survey for each child. Please share the survey with families in your school to enable CYDA to obtain a strong and informed response. For further information or assistance with completing the survey please contact CYDA by phone on 03 9417 1025 or 1800 222 660 (regional or interstate callers) or via email at info@cda.org.au. The Kodaly Music Education Institute of Australia has asked school communities to share booking details for events happening around Australia this year. Please visit the KMEIA site for more information about teacher education from early childhood to secondary school, as well as scholarships and other music awards. Generation Next is a not-for-profit organisation tackling the social, cultural and economic factors impacting on young people. The Mental Health and Wellbeing of Young People Seminar gives teachers, parents and others knowledge, skills and tools to better support young people both professionally and personally. Seminars are open for bookings now in Brisbane (27 May), Perth (3 June), Canberra (10 June), Melbourne (15 July), Adelaide (29 July), Sydney (19 August). Topics covered include respectful relationships, resilience skills, drug and alcohol trends, self-harm, radicalisation, racism and identity-based bullying and cybersafety. A free online resource – the Generation Next Youtube Channel - makes the latest strategies and information in youth mental health available anywhere, anytime, providing useful tips to better support the young people in their life. Content accessed on the channel can also count towards self-allocated PD points for teachers, counsellors and psychologists. 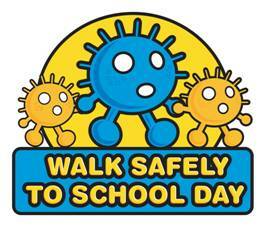 National Walk Safely to School Day (WSTSD) is an annual, national event when all Primary School children will be encouraged to walk and commute safely to school. It is a Community Event seeking to promote Road Safety, Health, Public Transport and the Environment. There's going to be an election! What are your top three education issues for Australia? Head over to http://www.acsso.org.au/have-say/3-messages-feedback/ and share your top three education issues so we can present the widest possible views to each major party ahead of the next election and share their responses with you.